The burner element on this portable unit is made from a plate of heavy duty cast iron that`s nearly indestructible, while it also retains heat well and distributes it evenly, eliminating hot spots when cooking. The flat surface is also easier to clean than coil-type burners. 7)Can use any material as stainless ,iron,glasses ,ceramic,aluminum. 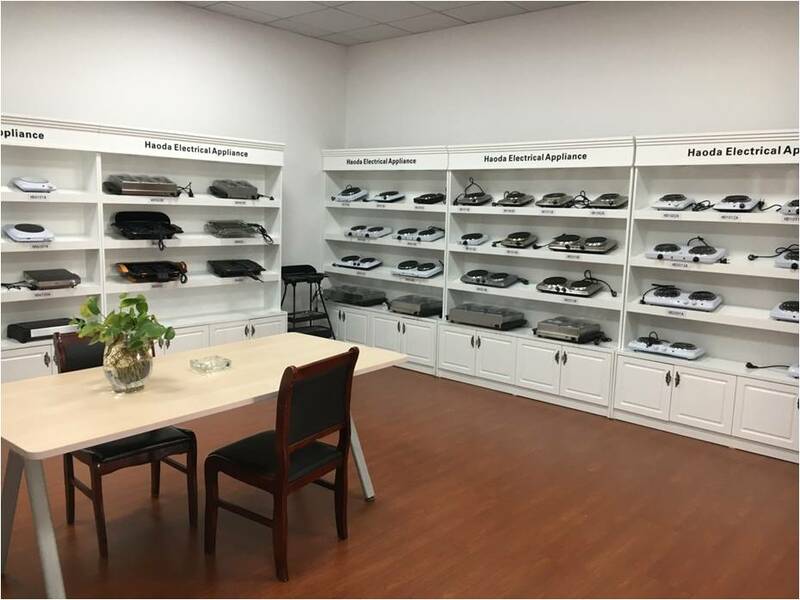 Shaoxing Haoda Electrical Appliance co.,ltd is a professional manufacture of Electric BBQ grill,Hotplate,Buffet warmer,Infrared ceramic cooker,Deep fryer &Healthy teapot etc.... Located in Taoyan Twon ,shaoxing,china. It has convenient transportation by neighbour to ningbo ,and 20 minutes by car form hangzhou air port ,about 2 hours car from shanghai air port. Haoda has a large and standard workshop which cover an area of over 25000 square meters.It employs staff of more than 300.Also with professional ,well trained technologist and experienced engineers.The quality control of products is reliably guaranteed .We have ISO9001,BSCI approval for factory, also obtained GS,ETL,SAA,CE,CB,ROHS,LFGB,ERP,FDA,CCC approvals for our products .Our products are exporting to all over the world . "Innovating and Developing,Quality First,Customer First,Best Service" are our principles. Welcome to make business partners with your from different parts of the world ,we belive we can have a good cooperation with each other and good future. 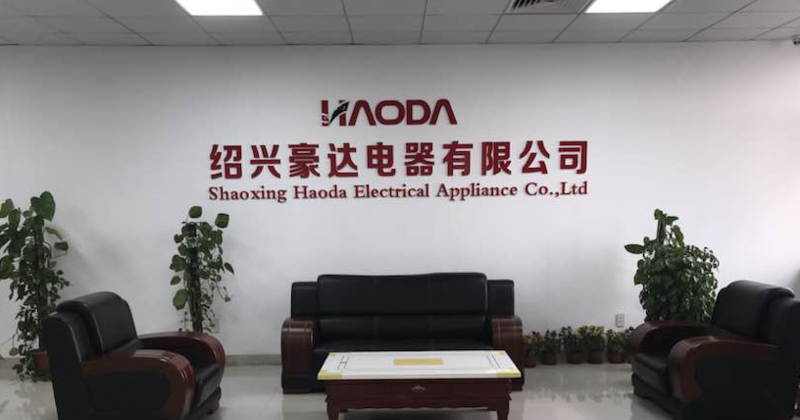 Shaoxing Haoda Electrical Appliance Co.,Ltd is a professional manufacturer of electric BBQ grill , hotplate , buffet warmer , infrared ceramic cooker , deep fryer & healthy teapot etc. Haoda is located in Shaoxing City Zhejiang Province . It is on the side of 329 Country road and the railway from Shanghai to Ningbo. It is about 20 minutes by car from Hangzhou airport. Transportation is very convenient. Haoda has a large and standard workshop which covers an area of over 30000 square meters. It employs staff of more than 300. It has professional,well trained technologist and experienced engineers. 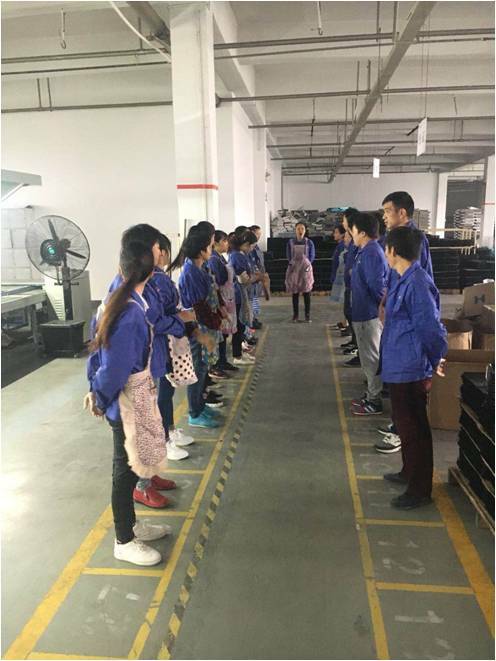 It possesses the advanced equipments of automatic production lines, automatic inspection system as well as 30 sets of new technologically machinery. The quality control of products is reliably guaranteed . We have ISO 9001, BSCI approvals for our company , also we have GS.ETL , SAA ,CE , CB , ROHS LFGB, DGCCRF, ERP,FDA ,CCC approvals for our products. Our products are exported to all over the world. Haoda has already obtained the export&import license. [Innovating and Developing , Quality First, Customer First, Best Service" are our principles. Welcome to make business partners with you from different parts of the world, we believe we can have a good and long cooperation with each other .